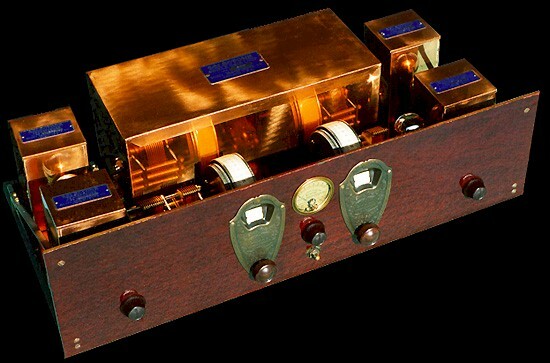 There were two versions of this superheterodyne radio made, the 9 which had a 8 tube chassis and a three tube power supply/amplifier and the 9B which had 9 tubes on the chassis and no power supply/amplifier. This was Scott's first radio to use the new screen grid tubes (UX-222) that had just come out earlier that year. I acquired this set in 1990 from a Washington State audio enthusiast in a trade for a Counterpoint D90 amplifier.